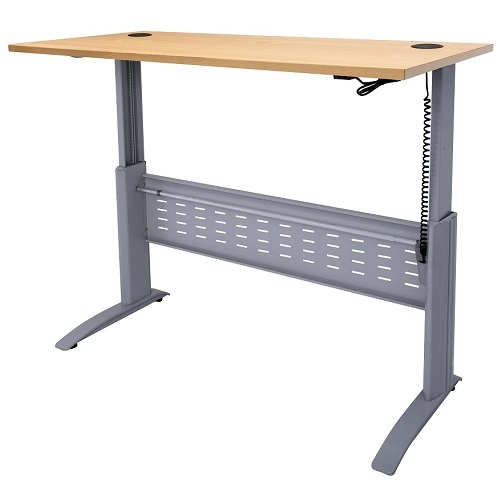 A height adjustable desk allows you to raise and lower your work surface and monitor throughout the day, enabling you to sit or stand while working. 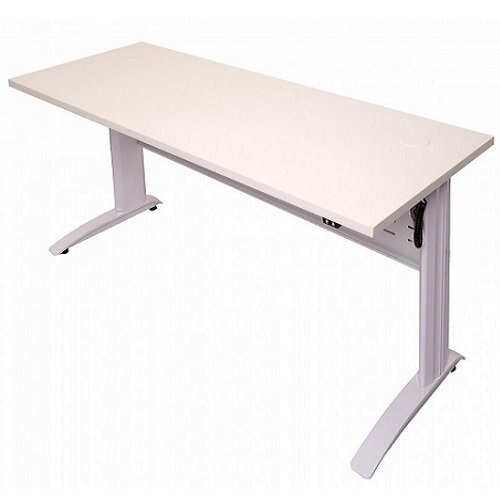 Height adjustable desks, also called sit-stand desks or standing desks, are sturdy and easy to use. Our range of electric height adjustable desk allows you to effortlessly transition from sitting to standing in seconds at the touch of a button. 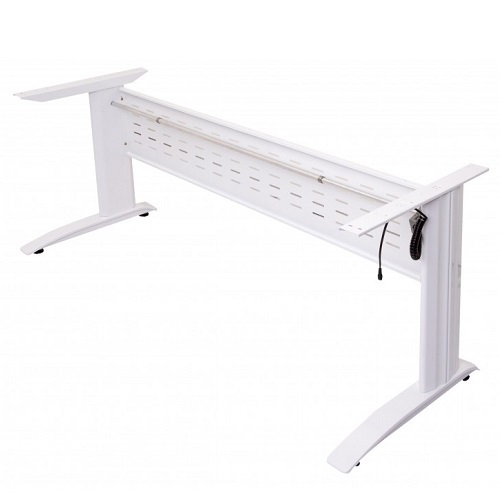 These desks are suitable for corporate and/or home office use. 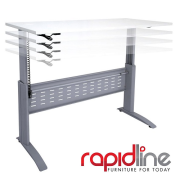 The Rapid Span height adjustable stand up desk features electric height adjustment at the press of a button. 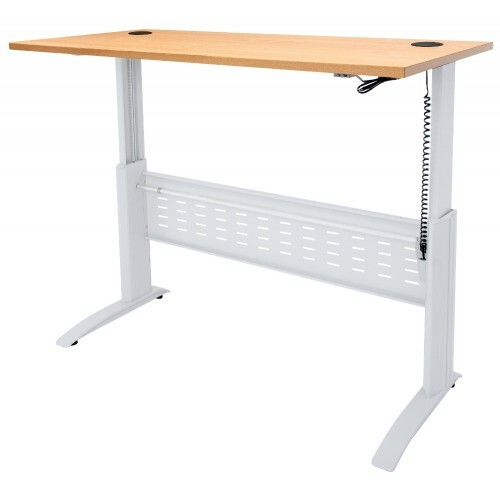 High quality, commercial grade desk features a modesty panel for rigidity and 2 pre-drilled cable holes. Ideal for the flexible working environment; enjoy the positive benefits for posture, comfort and productivity. 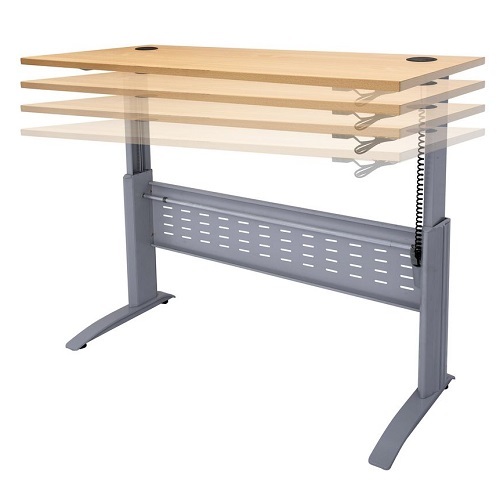 Beech Desktop 1200 x 700 mm with either Silver or White Frame. White Desktop 1200 x 700 mm with either Silver or White Frame. 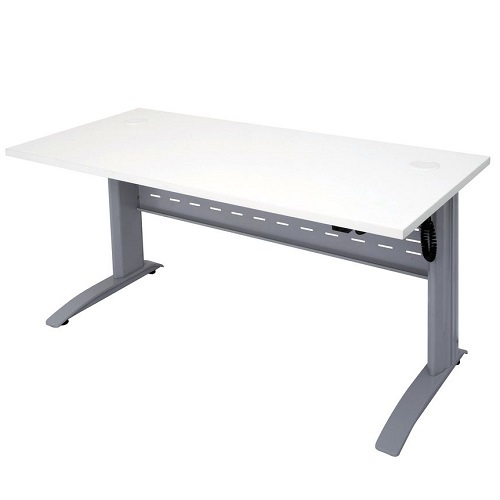 High quality, commercial grade desk features a modesty panel for rigidity, stiffening rail for the desk top and 2 pre-drilled cable holes. 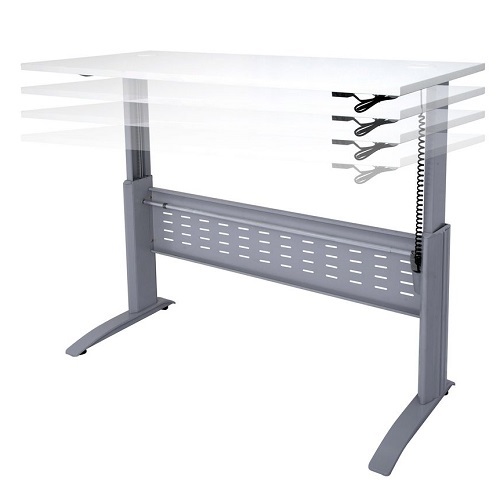 Beech Desktop 1500 x 700 mm with either Silver or White Frame. 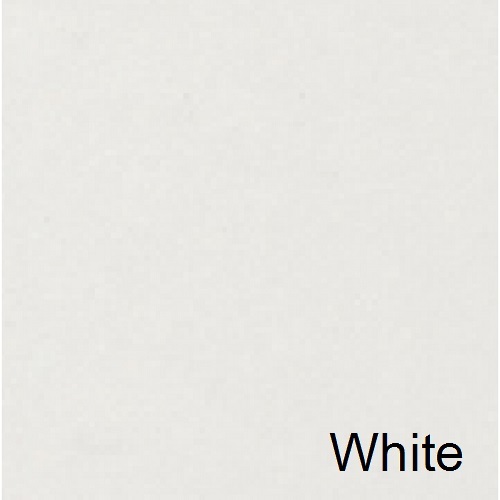 White Desktop 1500 x 700 mm with either Silver or White Frame. 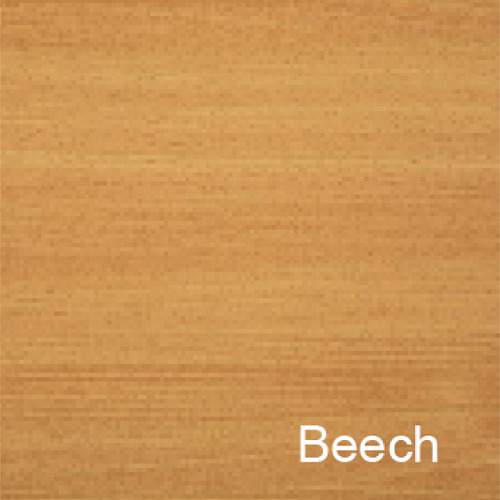 Beech Desktop 1800 x 700 mm with either Silver or White Frame. White Desktop 1800 x 700 mm with either Silver or White Frame.